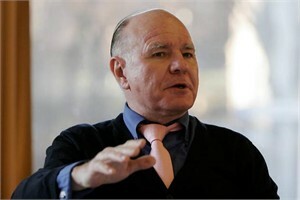 MARC FABER : The only game in town in the last 12 to 18 months has been the US. So you have most markets in the world going down and the US going up. It is very likely that the US market has already peaked out at 1687 on May 22nd on the S&P and if the market makes a new high it would be only with a few stocks making new highs. The majority of stocks will not make new highs.